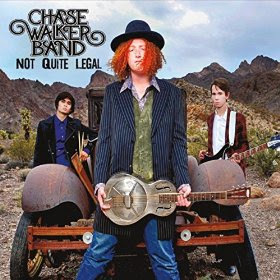 The Chase Walker Band’s second release, Not Quite Legal, is a great indication that these teen-aged musicians were not just another flash in the pan group of youngsters trying their hand at the blues. They really mean their place in the genre and their rocking it big time with their approach, while showing that they’re still growing as a band, too. It is kind of scary just how good these kids are, as songwriters as well as musicians. Band leader Chase Walker is already quite an accomplished guitarist. He also has plenty of savvy and sass as a songwriter and vocalist. There is a bit of adult language that crops up occasionally in a couple numbers, “Cold Hearted” and “Don’t F It Up” and its earned the release a parental advisory warning label, but even these songs display a creative musical drive that belies the band member’s ages. 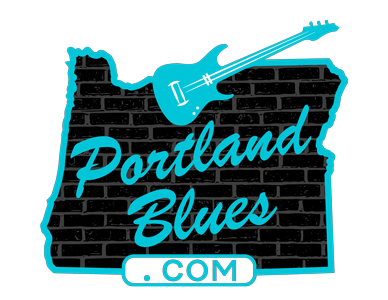 Aside from Walker, the band features drummer Matt Fyke and bassist Randon Davitt, who contributes his own songwriting skills and vocals on the track “Changed.” Backing vocals from Jade Bennet-Mateo and April Stephenson also add exceptional soulful contributions to the band’s sound. Enjoyable covers of Toots & The Maytall’s ska piece “54-46” and a rootsy version of The Wood Brothers’ “Honey Jar” enhance the musical diversity of the album. Then there is “Red House”; this Jimi Hendrix number may make many people say, “Oh boy, that old song? Everybody and their mother has done that one. Here we go again.” But rest assured, this is a superbly rendered take of the song, starting out with Walker working with solid resonator guitar playing that builds up the drive as the band joins in. It shows a lot of respect to Hendrix’ tradition without sounding like every other band who has covered the song. And the distorted vocals brings it all home. Well done! The band throws in a hidden track at the end of the disc titled “Yabba Dabba” that really shows off the trio working in a jam feeling. They may be young, but they’ve been working together enough to grab each others’ feel and approach to the music. And it just keeps getting better. Keep your eye on the Chase Walker Band, these kids have got it going on and bring across on both recording and in live settings! Wow! Sportin' Lifers featuring Erin Wallace! Kevin Selfe-"Jimi Hendrix Tribute Show"